Industrial segment includes sales to power backup equipment (UPS and Inverters), traction equipment (forklifts, golf carts, electric vehicles), infrastructure sector (railway, telecom, solar, power generation and utilities) and exports (traction and standby). 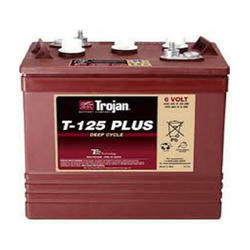 As India's largest storage battery company with widest range of both conventional flooded as well as latesT VRLA batteries, we design, manufacture, market and sell the widest range of lead acid storage batteries in the world - batteries ranging from 2.5Ah to 20,600Ah capacity - to cover the broadest spectrum of applications. The Exide make Stationary Batteries / Cells are available in dry charged conditions and you are assured of an excellent quality product and satisfactory service. 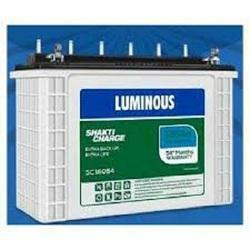 The Luminous make Stationary Batteries / Cells are available in dry charged conditions and you are assured of an excellent quality product and satisfactory service. 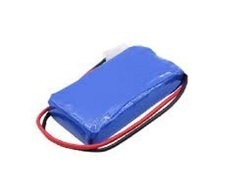 Owing to our wide experience we are providing our clients with high quality batteries VRLA. Our product is reliable and very low maintenance. Moreover, our product has emergency lighting equipment, fire alarm, security system, communications and electric equipment. Further, these are developed using latest technology that makes them highly efficient in performance. 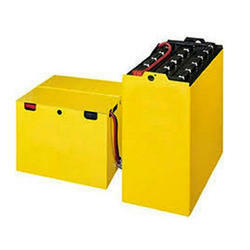 We have emerged in offering our valuable customers a wide array of batteries traction. 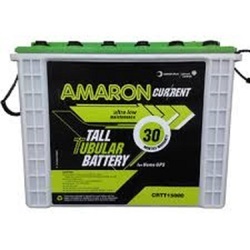 This range of batteries is offered in different forms and specifications in accordance with the emerging requirement of customers. 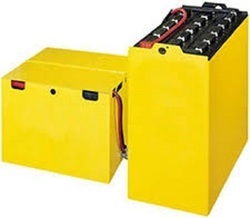 • Low maintenance battery and charger packages Fork Lift Batteries are provided with a zigzag polyethylene enveloping system that is used to ensure good acid circulation and reduce separator movement in operation. Further, we also provide high grade plastic containers and lids with the batteries that ensure product reliability with no risk of material degradation. • Lead inter-cell connectors for reliability of connection (Commonly used copper-based connectors are prone to fracture and corrosion) Continuous filament yarn woven polyester tubes to minimize loss of active material. We are among the renowned names in the industry, making available Golf Car Battery for our treasured customers. 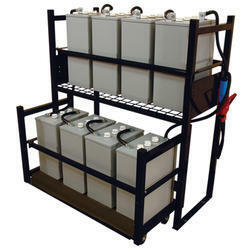 The offered batteries have a long life and are designed in compliance with the prevailing industry standards. 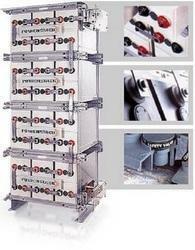 These batteries are compact in size and can be customized as per the requirements of the customers. The Valve Regulated Pocket Plate (VRPP) battery combines the unmatched reliability of Nickel Cadmium pocket plate technology, with the convenience of ultra-low maintenance requirements. Being in the UPS industry, is frequently asked why the industry hasn’t adopted the use of Lithium-ion (Li-Ion) batteries inside more products. Li-Ion batteries have a much higher energy density allowing them to be smaller and weigh less than half of an equivalent Valve Regulated Sealed Lead-Acid (VRLA) battery currently used in UPS systems. According to reports, the lithium primary batteries were not declared as hazardous materials. If lithium primary batteries become internally shorted, due to their high amount of stored energy and chemistry, they can generate enough heat to ignite the internal lithium. Once ignited, the remaining batteries in a shipping carton or on a pallet will ignite. The lithium fire would then burn at a high enough temperature to burn through an aircraft’s aluminum fuselage. Further, most standard fire extinguishers or aircraft fire systems are useless against a lithium fire due to its high burning temperature. 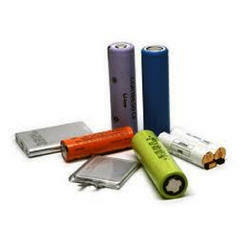 Secondary batteries have a differing chemistry and are defined as being rechargeable. They are usually shipped from their manufacturer partially charged in an attempt to keep the energy density as low as possible during transportation. 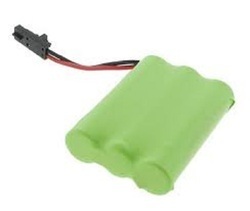 The DOT and UN regulations divide secondary batteries into two basic categories, which are defined by the level of energy density contained inside the individual cells or batteries. The batteries used inside cell phones, computers and power tools typically fall into the lower energy density category and have much fewer transportation limitations; hence why they are allowed to fly on commercial airliners with passengers. Gel Batteries specially developed for renewable energy applications, Exide has integrated this technology in accordance with state-of-art manufacturing and quality procedure to satisfy environmental, economics technical demands. We offer the most complete line of replacement Medical Batteries, Biomedical batteries, Medical Battery packs, and battery assemblies for most every Medical Device, Biomedical Device, and Home Healthcare Device. We offer the Highest Quality, Longest Warranties, and Most Competitive Pricing in the industry. Matching up with the ever-increasing requirements of the customers, our company is engaged in providing Sealed Rechargeable Battery. 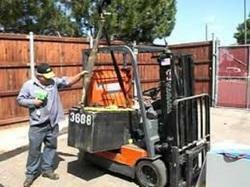 Backed by highly knowledgeable professionals, we have been able to offer superior quality Forklift AMC Service (Annual Maintenance Service). Our services are widely appreciated for their hassle free management and excellent execution. Due to the expertise of our professionals, we ensure to provide world class maintenance services with reliability. We ensure that our professionals replace the defected part with a new one when it is needed. Offered as per the requirements of the customers, these services are being high on quality. Looking for Branded Industrial Batteries ?